I’m sharing some art that I did on single sheets, and then incorporated into sketchbooks or notebooks. Yesterday, I showed how I created a new page in this sketchbook by added a sheet of deli-wrap paper. 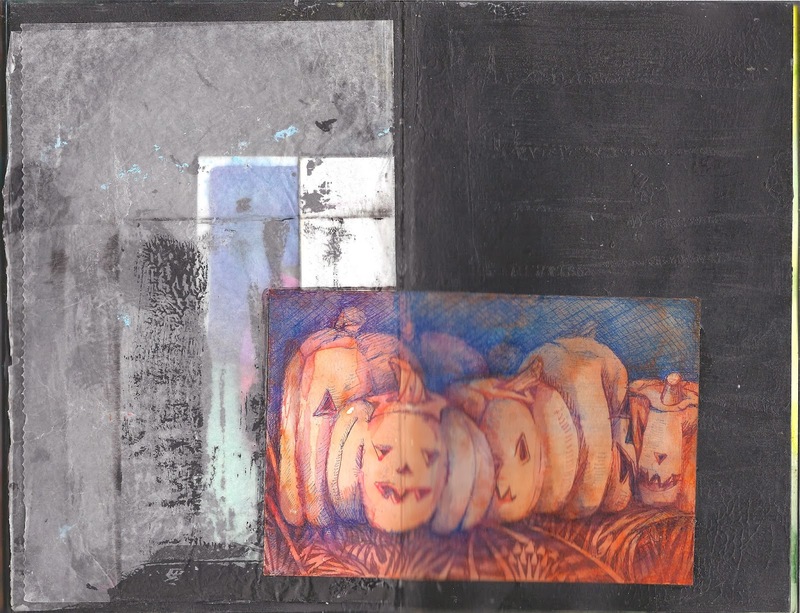 Both of the smaller works I glued half to the gesso’d sketchbook page and half to the deli-wrap paper. As I look at this now, I think I need to add something to the black space here. That’s another thing I love about art journaling–you never know when a page is really done. You can walk away, knowing that you can come back and add more. You don’t get chances like that very often, in life. You can find out more about the original piece here.